Welcome to Oh My Health Education, the home of natural health care options and information. Lots of people suffer from congested airways these days, and to help with that we’re going to tell you about salt therapy and a natural therapy you can use at home to improve your breathing. Salt Therapy originates from the Greek word Halo, which means salt. Salt therapy is a natural therapy that involves relaxation and healing through salt! It is used for cleansing and treatment of various health and emotional conditions as well as healing of wounds. This therapy is a safe and natural alternative and very useful in the medical field and spa industries all over the world. Salt therapy is categorized into wet salt therapy and dry salt therapy. Dry salt therapy is also called halotherapy or speleotherapy. When a salt therapy is carried out in naturally occurring salt caves it is called speleotherapy, but when carried out in an artificial salt room through the use of 'halogenerators,' it is called halotherapy. Also, they are other types of dry salt therapy that can be easily used at home but these ones are usually very expensive, they include salt inhalers and salt lamps. Wet salt therapy involves the use of salt scrubs, salt mixtures, internal salt water flushes, and saltwater baths. The use of salt to relieve respiratory problems goes back as far as the ancient Greeks. In 460 BC, Hippocrates, who was considered the father of modern medicine, recommended salt inhalation for patients who suffered from breathing difficulties. The practice mostly died off for a number of years, with localized exceptions, until the Second World War and the time immediately after it. Modern salt therapy, known as Halo therapy, has its roots in Europe around the time of the Second World War when doctors noticed that refugees and salt miners rarely suffered from respiratory complaints. Instead, their respiratory problems seemed to improve during the time spent in the salt caves in Europe. But those same caves were known for their healing effects long before it was noticed by medical professionals. Salt spas became popular in Europe in the 1800’s and those particular caves were credited with healing a range of disorders including respiratory illnesses, depression and skin conditions. After the Second World War, the practice of using the salt caves to alleviate breathing issues grew and spread, and it’s now used across much of Europe and Russia. The two most popular salt mines for therapeutic purposes are the Wieliczka Salt Mine in Poland and the Praid Salt Mine in Transylvania, Romania. People who travel to these mines for treatment find salt layers that are 20 million years old and also contain other natural minerals. There are also options for people who can’t travel to the caves, with salt therapies that can be used at home or in specially designed facilities. When you stand in a salt mine, or breathe through a saltpipe, you’re inhaling tiny particles of salt at the same time. According to some sources, the salt particles can help to open up the airways, cleansing them of smoke, dust, pollutants and other allergens and even increase oxygen intake. The salt particles are small enough that they’re easily inhaled into the deepest part of the lungs, penetrating through the bronchial tree and into the alveoli. Based on clinical studies, inhaling dry salt aerosol can reduce inflammation in the whole respiratory tract. This inflammation, is usually caused by asthma, infection or other illnesses, and causes mucus and coughing. However when the salt particles are inhaled, they start to break down the mucus, which makes it much easier to remove by coughing. Dry salt aerosol also has anti-bacterial properties, which helps to cleanse the natural flora in the respiratory tract, reducing inflammation and allowing for natural cleansing processes to take over. Find out how to reduce airborne pathogens in home using air purifiers. Dry Salt therapy has the ability to heal respiratory problems by reducing inflammation, opening airways and removing harmful allergens from the respiratory system. The American Salt Therapy Association has proven that many people who practice salt therapy as a consistent wellness routine experience healing from various respiratory health problems like cystic fibrosis, allergies, asthma, ear infection, cough, bronchitis, cold, sinusitis. Read on for more information on how salt therapy treats sinusitis. It is showed by the Salt Therapy Association that gradual and consistent administration of dry salt can bring about a successful result in the healing of the respiratory system. Scientists from the body have proven that young children between the age of 5-13 are healed by the anti-inflammatory effect of salt therapy. Salt therapy has the ability to improve the immune system, heal severe bronchitis and improves the lungs functions. Salt is commonly used for preservation of food from harmful bacteria like Staphylococcus Aureus, Listeria Monocytogenes, Escherichia Coli and Salmonella Typhimurium. In fact, research has proven that salt is very effective in decreasing bacterial contamination in food with its antimicrobial properties. Inflammation is the cause of most diseases. Since salt is anti-inflammatory, it helps through this therapy and very effective in healing inflammatory diseases. Research has shown that people who bathed in high salt concentration or applied salt through bandages reduced their inflammations and were healed of deadly diseases like rheumatoid arthritis and several inflammatory diseases. Improvements were observed in patients with a decrease in blood pressure. Overconsumption of salt enhances the risk of heart attack and causes high blood pressure. However, the quantity of salt you breathe in during salt therapy is relatively too small to cause harm. During the salt therapy, you are taking into your respiratory system dry saline aerosol and not consuming it into your digestive tract. One possible use for salt therapy is as a supplementary treatment for children with asthma or croup. For parents, these can be terrifying illnesses as they cause breathing trouble and can even result in frightening breathing emergencies. Some parents have reported an improvement in these types of conditions with salt therapy. However, doctors warn that parents shouldn’t make any changes to their children’s treatment without first discussing it with medical professionals. If taking a trip to the salt caves in Europe is out of your price range, there is now a substitute you can use at home. And if you use the at home option, you’ll enjoy greater benefits, particularly if you have a chronic breathing condition, because you can use the therapy as often as you need. 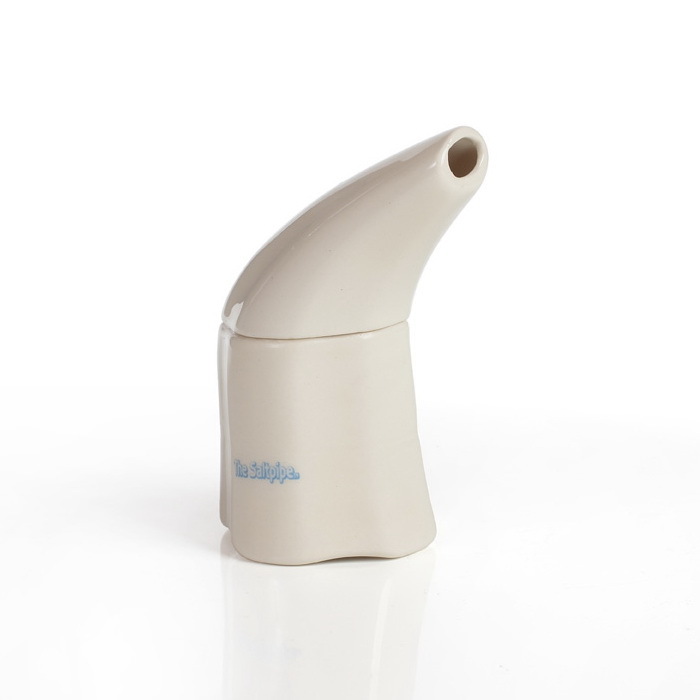 The saltpipe is a portable inhaler which contains salt crystals sourced from the famous Praid Salt Mine in Transylvania. When you inhale through the device, the moisture in the air as it passes over the salt crystals absorbs micron sized particles. These particles enter the respiratory system with each breath. The big advantage of the saltpipe is that it can be used anytime and anywhere. It’s small, so you can keep it on your bedside table or take it with you when you travel, which means there’s no need for an expensive trip to Europe to sit in an actual cave. And they work. In fact, saltpipes have almost the same effects on the body and lungs as sitting in a salt cave. 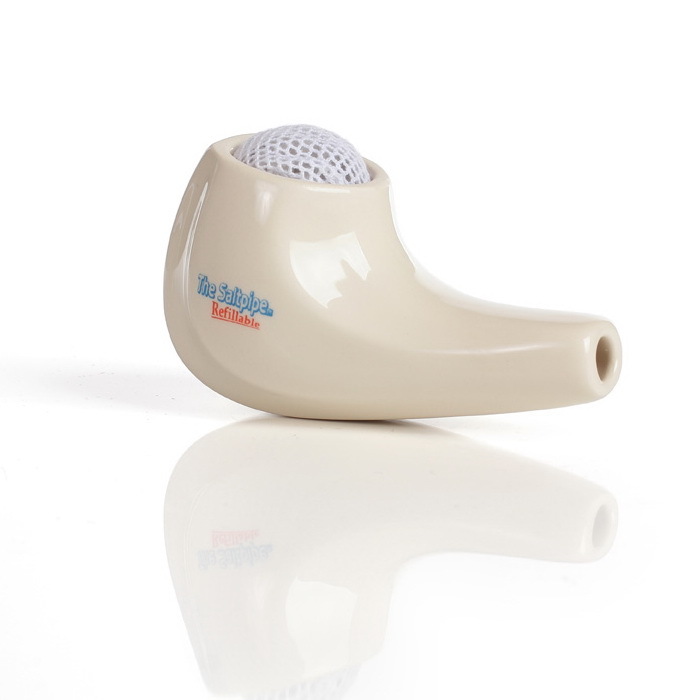 So if you have trouble with asthma or other breathing problems and want to try this alternative therapy, saltpipes are a great way to start. What Can Salt Therapy Do For My Skin? Salt therapy can make your skin look great. Salt contains more than 84 minerals that are essential to the skin, your skin absorbs these nutrients and nourishes your body as you relax and breath in it deeply in a bathroom. Salt therapy will not dry out your skin as commonly thought, it will rather attract moisture. it helps to clear skins disease like psoriasis and eczema and gives some anti-inflammatory and anti-bacterial benefits when combining with Himalayan salts. Dry salt therapy can help cure several skin conditions like acne, rashes, rosacea, swollen skin, itching, dry skin, and dermatitis. Also, wet salt therapy has proven to help improve your skin hydration, heal skin dryness, skin redness and several skin conditions in your body. The scientist has proven that salt therapy or bathing in salt water can make you experience improvements in your skin and help to fight skin breakage and dryness. 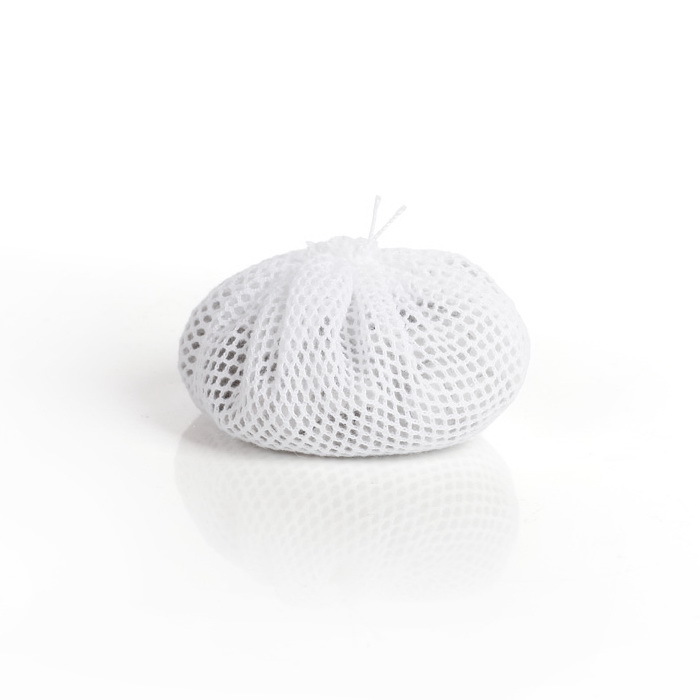 Leaving your skin free from roughness and inflammation. Dead sea salt is one of such salt recommended for your skin and researchers have attributed its effectiveness to its rich magnesium content. The salt room reduces the symptoms of respiratory difficulties and diseases. It helps for easy breathing, and by using the negative ions present in the salt to purify the air and increase the functions of the lungs. It also has a medicinal technique called halotherapy that helps to prevent flu through the anti-viral and anti-fungal properties of the salt. It is very effective in the relief of severe congestion, Asthma, and allergies. Also, it helps to reduce inflammation and prevent mucus production. Salt room professionals have proven that spending just 45 minutes in a salt room is as good as spending 2days on a beach. The salt has some negative ions that will purify the air and helps to make you energize and activate your mood. A salt room also helps to reduce stress, insomnia, and several abnormalities. The calming and detoxifying effects of salt therapy help to support the immune system, increasing energy and improve rest. Medicine has proven that people who used the salt room had good results and therapeutic benefits. It helps to reduce stress, depression, and anxiety from work or general life issues. A session in the bathroom can help balance your emotions. The salt produces negative ions that help your body to release more serotonin. Serotonin is one of the active chemicals that causes feelings of happiness and creates joyful emotions for health living and a balanced lifestyle. Salt therapy can be the solution you might be looking for instead of taking pills. If you have trouble with asthma or other illnesses or allergies that cause breathing difficulties, salt therapy is a natural alternative that’s more accessible than caves and works just as well. And if you don’t have the money to travel to the salt caves in Europe, you can try a saltpipe in the comfort of your own home. Buying the saltpipe means you always have access to it, you can use it repeatedly and experience the benefits on an ongoing basis. It’s a safe, easy and non-toxic way to help clear out your system and improve your breathing. If you would like to learn more about saltpipes, pemf therapy or pemf devices, please visit us today!